£400 off the original price was £6390. 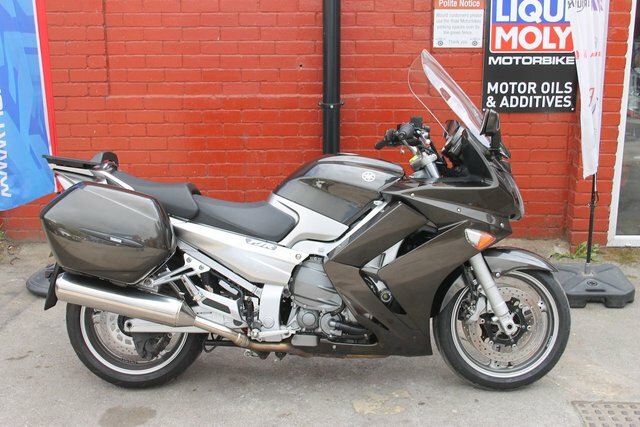 Here we have an FJR 1300 Grey with 26k on the clock. FSH. Finance available. Credit and Debit Cards accepted. The bike will come with a full PDI and service, 12mth MOT and a 3mth warranty. Extended warranties are available. She benefits from colour-coded panniers, heated grips, electric screen, all its keys and booklets. 6 stamps in the book and one from ourselves. The bike is in fantastic shape, she runs and rides as she should. The FJR is a lovely comfy tourer with plenty of torque throughout the range. They don't last long here at Ride so grab a lovely specimen with free UK delivery. Ride is a friendly down to earth business with a passion for biking. Finance available, Nationwide Delivery, HPI Clear, PX Welcome, Friendly Customer Service. 01535 658811. ***Check out our customer reviews on the website, at Ride Motorbikes Ltd Facebook page/Autotrader shop and google*** For more information about us, the bike and our stock please visit our website. The adventure starts here! Open 7 Days A Week Ask us about Locks and Chains, Datatags, Helmets and Heated Grips. Stay warm and secure with Ride.